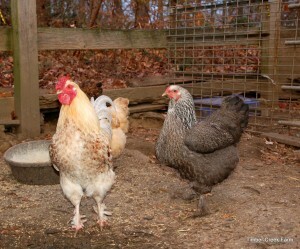 Join Karen Lynn and her guest Janet Garman of Timber Creek Farm, Janet not only owns her own “Real Farm”, she is also the blog owner of “Timber Creek Farm” and now she has authored a book on raising chickens called “Chickens From Scratch” – Raising Your Own Chickens From Hatch to Egg Laying and Beyond and trust me Janet has tons of experience with not only raising chickens, but also raising livestock including pigs and cows on her farm! Janet and her husband raise their own grass fed cattle which I don’t know about you but raising grass fed cattle is pretty amazing in times when we don’t know what’s in our meat anymore! 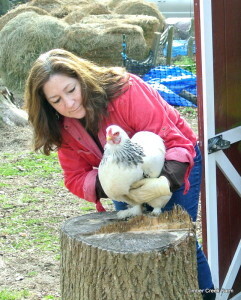 Janet’s a farm girl with a fun natured personality she is energetic and you will love hearing her lively discussion with Karen Lynn the two are good friends and connected in the blogging world several years back! Janet’s blog at Timber Creek farm is chock full of DIY projects, encouragement for new homesteaders, and is a Co-Host for a couple of blog hops including The Simple Saturday’s blog hop which both her and Karen Lynn host together! Not surprising since Janet is all about “Simple Living”, and also is practical minded and solution oriented. 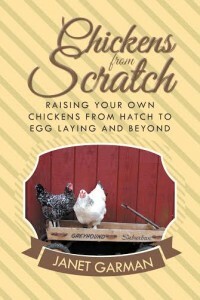 One of the things Karen Lynn loved about Janet’s book “Chickens From Scratch” – Raising Your Own Chickens From Hatch to Egg Laying and Beyond is that it is such a practical primer for raising chickens and shares the joys and rewards of this endeavor as well. Janet’s a photographer and so enjoys her jaunts around her farm capturing the animals which are not only beautiful but great at posing as well. She even has her own handmade country store on her blog where you can order her original farm living post cards, her book, jewelry, gloves and so much more! 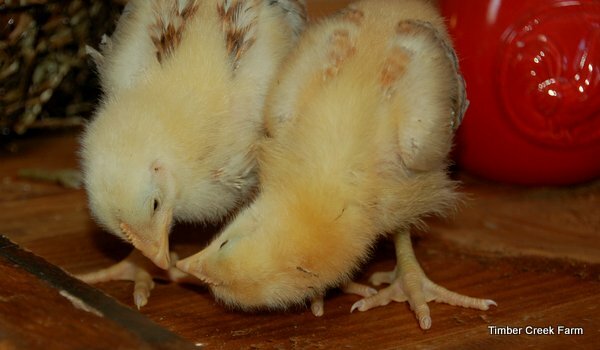 Whether you want to start raising your own chickens and you want the real scoop the who, what, why, where, when or you just want to dream about living on your own farm one day Janet is extremely informed about farming and has loads of humorous farm stories to share too! Mark Your Calendars friends this is a show you will not want to miss! Come chat with Janet or call in and ask your questions! This is a live radio show so it’s interactive and Karen Lynn for one can’t wait! Listen to this broadcast on Farm Living below! Put the 24/7 player on your web site Go Here and check them out! Listen to archived shows of all our hosts . Go to show schedule tab at top of page! Listen, download, or use your own default player for this show by clicking Here! Previous: Previous post: Propaganda in America!